Mrs. Teresa Ann Smith age 54 of Chatsworth passed away Thursday July 7, 2016 at the Murray Medical Center surrounded by her loving family. She is survived by her loving husband of 32 years, Tony Smith. Daughter and son in law, Tashia and Matt Cordell of Pigeon Forge, TN. Sons, Aaron Michael Cochran and Aaron Austin Cochran both of Chatsworth. 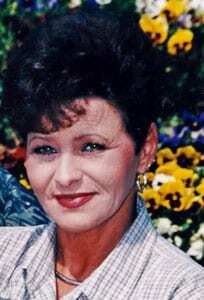 Mother, Loretta Marie Stinnett of Chatsworth. Sister, Beverly Walker of Chatsworth and a brother, Darryl Walker of Ringgold. Special Friends, Gwenell and Arnold Osborne of Chatsworth, Debbie Sexton of Dalton, and Sandy Ellis of Lafayette. Several nieces and nephews also survive. Funeral Services will be Sunday July 10, 2016 at 4 pm at the chapel of Shawn Chapman Funeral Home with John Dotson officiating. The family will receive friends at the funeral home Sunday 2 till 4 pm.